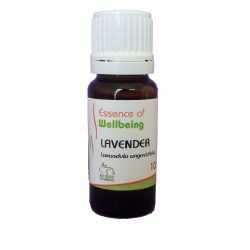 Clary Sage Essential Oil has an uplifting action which makes it useful for stress-related disorders, nervousness, weakness, fear and depression. It can help to reduce tension and centre the thoughts. It is considered a “creative” oil. Clary Sage Essential Oil has an uplifting action which makes it useful for stress-related disorders, nervousness, weakness, fear and depression. It can help to reduce tension and centre the thoughts. It is considered a “creative” oil. It is also useful for uterine problems and is often used during labour. It may be useful for respiratory conditions such as asthma. It can also be beneficial for greasy hair and dandruff. Clary Sage is a short herb with large hairy leaves and tall flower spikes with small purple flowers. The herb was very popular during the middle ages’ although less so now. Its actions are calming, uplifting and revitalising. Cautions Should not be used during pregnancy. Also appears to aggravate the effects of drunkenness so should not be used while drinking alcohol.